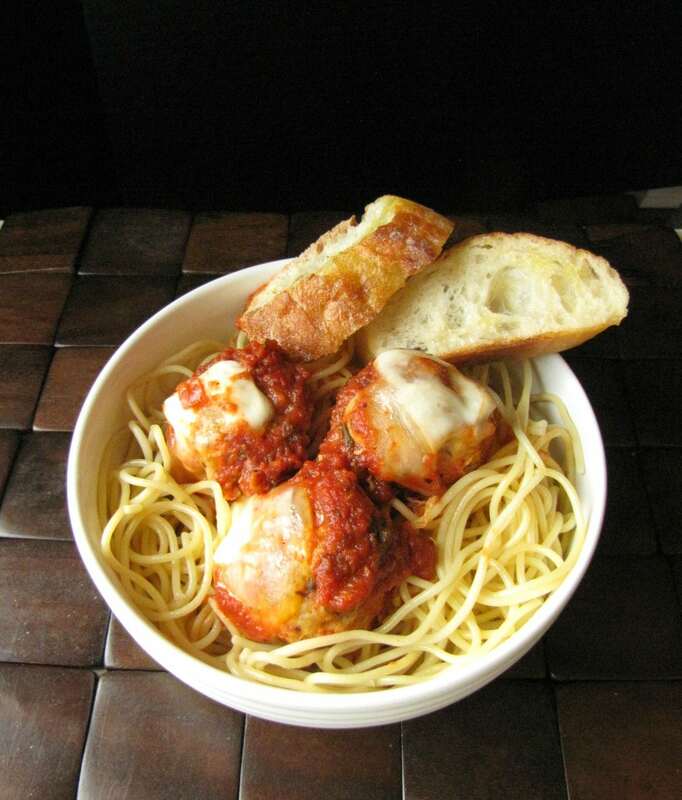 If I didn’t mention it in my last crock pot meatballs post, I’m obsessed with making meatballs in the crockpot. To me they are the perfect food! I mean, come on, you can eat them for appetizers, you can make them different sizes, they go with all kinds of sides and best of all you can make them in so many ways! Plus the leftovers can go in sandwiches or wraps. Or hey, you can even eat them for breakfast! I really hope you like meatballs too (or at least you are not opposed to them) because I have a bazillion meatball recipes to share with you (or something like that). 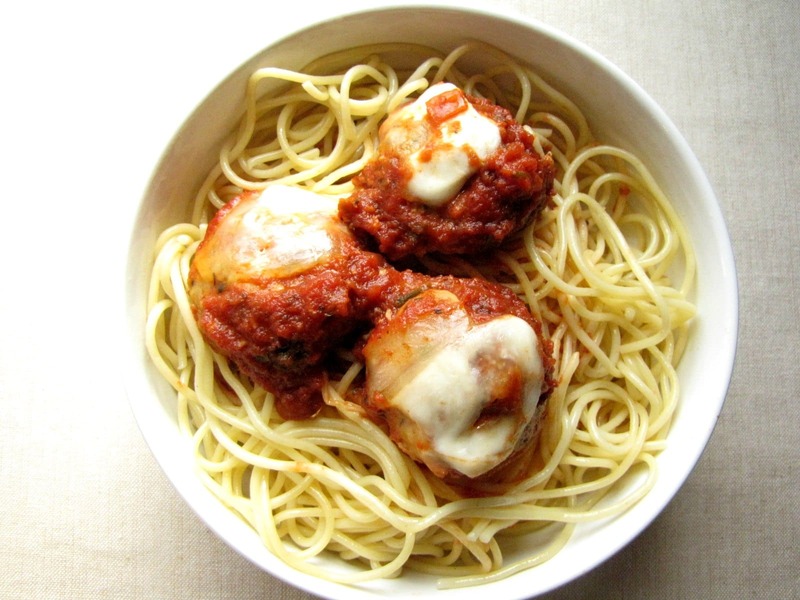 I was looking for Crock Pot Chicken Parmesan Meatballs and came across this recipe – http://www.dinneralovestory.com/chicken-parm-meatballs/. It looked awesome, but I knew I could never make them in the oven (see this post http://slowcookergourmet.net/2013/11/19/crockpot-turkey-goat-cheese-meatball-sandwiches/). Whenever I do meatballs in the crock pot they seem to be fool proof. When I make them in the oven they come out dry and shriveled up no matter how exactly I follow the instructions. Does anyone know why? If so please tell me….. I don’t like it when my meals are big fails. Anyway, I decided that I needed to modify the Chicken Parmesan Meatball recipe I found so that I could make it in the crockpot. 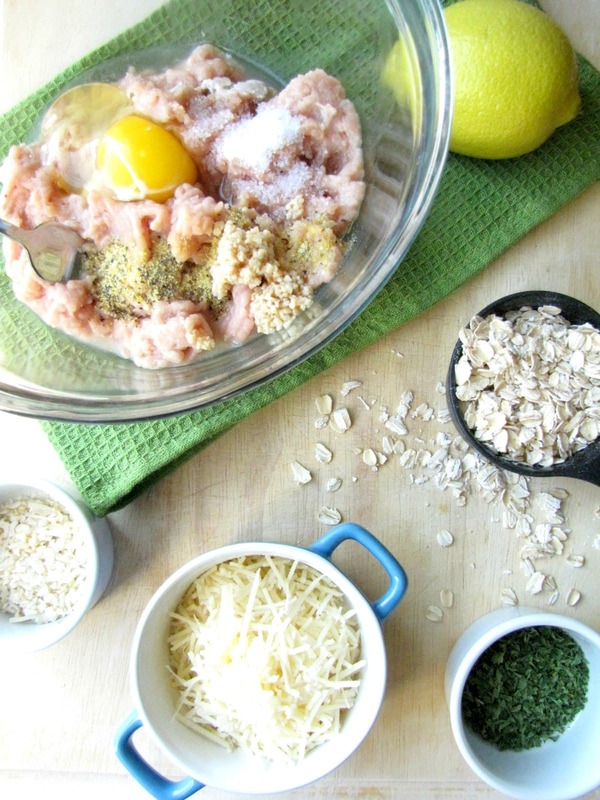 I also prefer to make my meatballs without bread crumbs most of the time so instead I use oats. I’m not sure why but I always find the taste of the breadcrumbs overpowering. Feel free to make these either way you prefer. I must say this was the second time I made these and they were by far the best meatballs I have ever made. They were perfect! Perfect!! Last time I served them with spaghetti squash (cooked in the crock of course) and this time with just plain spaghetti noodles. Wonderful either way! Hi I’m totally going to try this receipt!!! I am making my baby meatballs and this will work great bc they will be nice and a soft for her. One question besides the spray of olive oil in croc pot you don’t add anything else in the pot? No liquid?? I’ve made meatballs before in the croc pot but it called for Tomato sauce. I don’t want that for my baby, so this sounds great if I’m reading it right! Hi Danielle! Yes, they should be good without the added sauce. The sauce generally serves as a way to add moisture or mix with some of the juices, but in this case you should be good without it! This looks really good. I’ve never made chicken meatballs, can’t wait to try. I have always used Rice Krispies instead of oatmeal or bread crumbs. It makes for a light texture. I think I will try the mayo trick, too. Thanks for the recipe! I’ve never used rice krispies for meatballs, I might have to give that a try sometime! Hope you enjoy these, Linda! This is the exact recipe I use with the exception that I add 2 cloves of garlic and a 1/2 tsp of sage. I have baked them and also browned them before adding them to my sauce and they seem to work fine for me both ways. I will have to try them in the slow cooker to. P.S. You have great recipes, pictures and content on you blog!